The rise of Blockchain Technologies triggered a revolution, still in progress, that is changing many aspects of our society. 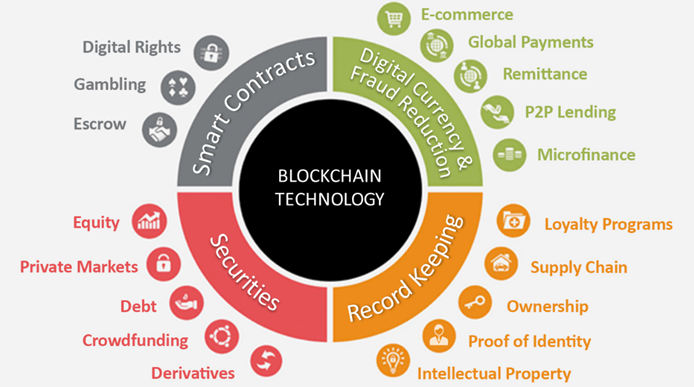 This technology is not only the base of worldwide-known crypto-currencies such as Bitcoin, but it has a high potential for application in many other different scenarios such as finance and industry (Figure 1). In addition, it inspired new means such as smart contracts, a very promising technology that could considerably increase Blockchain applicability. Blockchain is a distributed ledger of digital records that is accessible to all computers running the same protocol. It solves the problem of establish trust in a distributed system. Blockchain creates a distributed storage of timestamped documents in which no entity can tamper the data or the timestamp without detection. Distributed ledgers are decentralized, in order to eliminate the need for a central authority or intermediary to process or authenticate transactions. As a decentralized database, Blockchain can manage every type of register, public or private, implementing different applications like tracking and verification of identity, property, transactions or whatever digitized events. Due to the critical nature of these applications and sensitive data involved, security is a big concern both for customers and developers. Researchers at the Cybersecurity lab investigate general blockchains’ issues and limitations, such as complexity, network size and speed, human error, unavoidable security flows, lack of standards and regulations, given that these could lead to weaknesses in implementations and security issues. 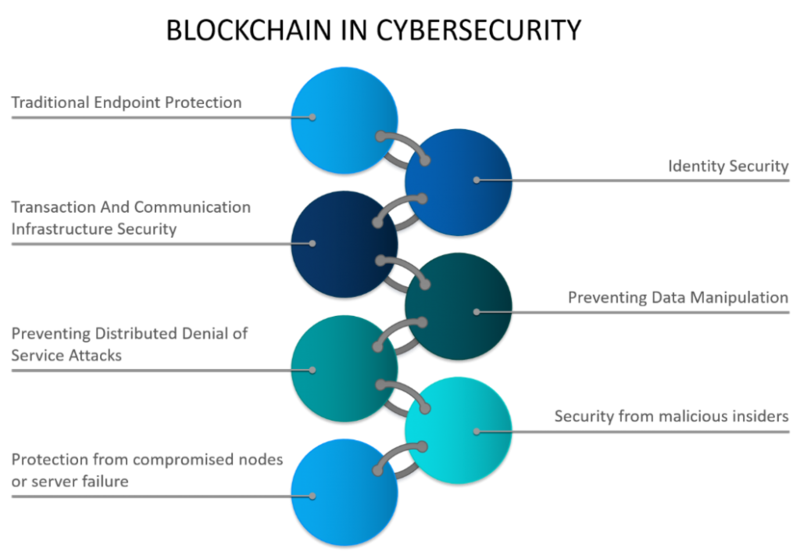 The Cybersecurity lab is on the forefront in identifying and providing efficient answers to the most common security issues in Blockchain-based applications, such as privacy leakages, consensus, scalability, transaction speed, to name a few. We are also interested in finding new application scenarios for Blockchain’s, developing solution that addressed these problems in an efficient and secure way.